The gates were a gift from Canada, celebrating its contribution to the then British Empire. 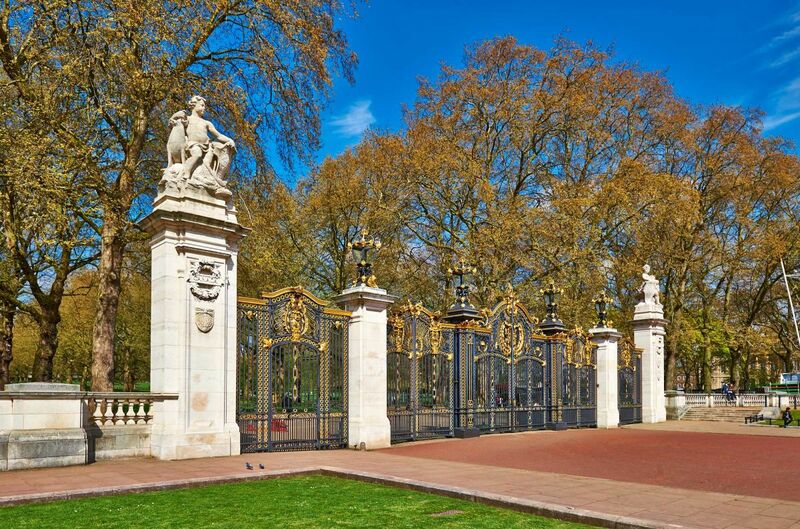 The metalwork includes the crests of Canadian provinces. 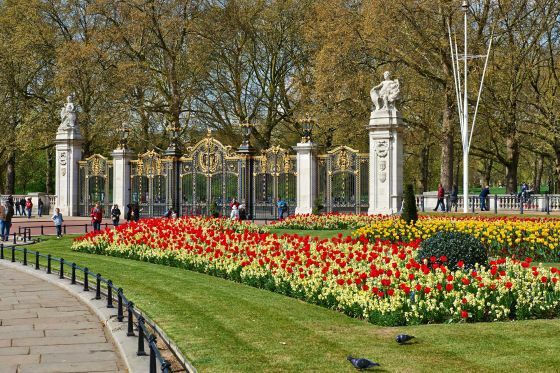 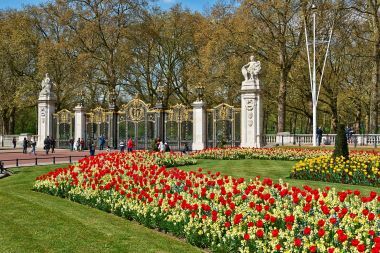 From Canada Gate into The Green Park is a wide grass path lined with trees, known as The Broadwalk. 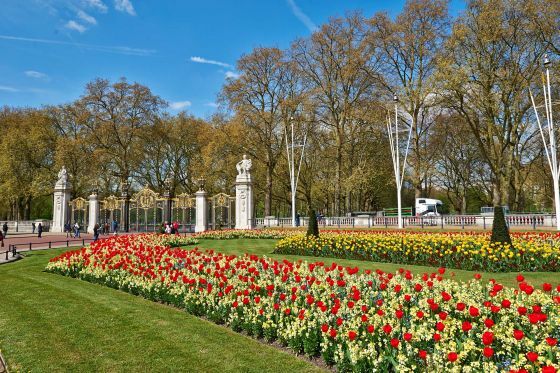 It was planted in 1905 to create a good view of the Queen Victoria Memorial from Piccadilly. 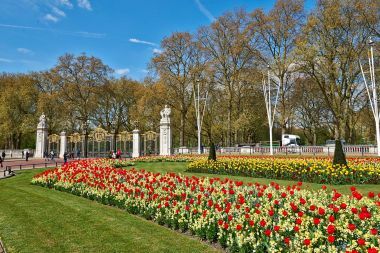 The Broadwalk also marks the approximate course of the ancient River Tyburn that now flows under the park on its course from Hampstead to the River Thames.